Many people in Chicago experience back pain that interferes with their daily lives. Half of working Americans report back pain symptoms in a given year, according to the American Chiropractic Association. The same source states low back pain is the leading cause of disability worldwide. When Americans lose the ability to work due to back pain, Social Security Disability benefits may be able to help. However, since back pain has various causes and pain cannot be measured objectively, it can be difficult for victims to obtain benefits. Still, there are various circumstances under which people experiencing disabling back pain can secure benefits. The Social Security Administration will only award benefits if back pain has a clear physical cause that is expected to last over a year. Unfortunately, readily evident injuries such as strains often heal within this time period. 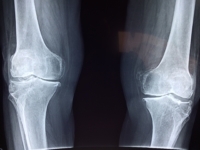 If a condition is projected to last at least a year, applicants must provide objective evidence of the condition, such as x-rays, MRIs, myelograms, EMGs or CT scans. People experiencing back pain due to other conditions may still obtain benefits, if the condition is medically verifiable and other requirements are met. To determine SSD eligibility, the SSA also considers an applicant’s ability to work despite the established disability. Though back pain might preclude manual labor, the SSA might conclude that an applicant could perform lighter work under certain circumstances. Applicants with debilitating back pain can improve the likelihood of claim success by submitting a Residual Functional Capacity form along with other medical documents. An RFC form allows a physician to provide a detailed evaluation of the physical tasks an applicant can perform. For instance, the form might note how long the applicant can sit in one place or how far the applicant can walk without assistance. This form can provide insights that diagnoses and tests do not. The additional information can help the SSA accurately evaluate an individual’s ability to work. It is important for applicants to fully document current limitations, past or current treatments and lifestyle changes. The SSA will not award benefits if an applicant has not sought adequate medical treatment. Similarly, the SSA will likely deny an application if the condition does not appear to affect the applicant’s daily life and activities. Providing as much supporting evidence as possible is the best way disability applicants with back pain can improve their likelihood of claim approval.